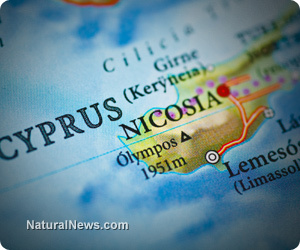 (NaturalNews) Following the uproar over the Cyprus government's plan to raid private bank accounts and literally steal up to 10% of account balances from private citizens, Cypriot MPs have just voted down the measure in the face of extreme anger on the part of the public. The vote was 36 against the measure, with 19 abstaining. Not one lawmaker voted for the measure, probably because they did not want to find themselves hanging by a rope from a tree. In the hours leading up to the vote, there were massive protests outside the Cypriot parliament, and when news of the vote was announced, the mood shifted to one of celebration. But for the people of Cyprus, this battle has only begun. The European Central Bank (ECB), the center of financial theft across the eurozone, is no doubt plotting new attacks against private wealth via the banking system. The ultimate goal of all central banks, including the Fed in the USA, is to confiscate all global wealth and leave the people destitute. The recent decision to literally steal 10% of account balances from private citizens was a beta test to see whether they could get away with it. Speculation was that if the globalist banksters got away with looting the bank accounts of Cyprus, they could repeat the same crimes in Greece, Italy and Spain. But this defeat in the Cypriot parliament means eurozone mafia banksters will have to find a new way to steal money from the citizens, or at least risk setting off massive civil unrest and uncontrollable bank runs. The mere attempt of doing this has already rocked confidence in the banking sector across the globe. As the Guardian reports on its live coverage page, "There are fears that the ECB could pull the plug on the country's two biggest banks, by terminating the support provided under its Emergency Liquidity Assistance -- on the grounds that they could be insolvent. But as the WSJ's Simon Nixon explains, Cyprus could be gambling that the ECB won't risk turning the liquidity tap off." Such threats by the ECB amount to nothing less than financial terrorism. By using the threat of a collapse, they can force governments to confiscate deposits from their own countrymen. Those who do not comply will be punished with a withdrawal of liquidity leading to a local bank collapse. This is a game of financial chicken... or more aptly, Russian Roulette since it's mostly Russians who have their money in Cyprus banks. The eurozone central bankers just put a gun to the heads of private bank account holders and said, "Pull the trigger!" But the account holders said, "Hell no!" and are now throwing the financial equivalent of a live grenade back into the trenches of the ECB. This may ultimately be followed up with Russian military hardware arriving on scene, by the way. My guess is the ECB will now pull liquidity from Cypriot banks, causing a bank collapse there as a way to "teach them a lesson" for refusing to hand over 10% of their own money to the banking elite. This is how the mafia operates, of course, and the central banks of Europe are 100% pure mafia.